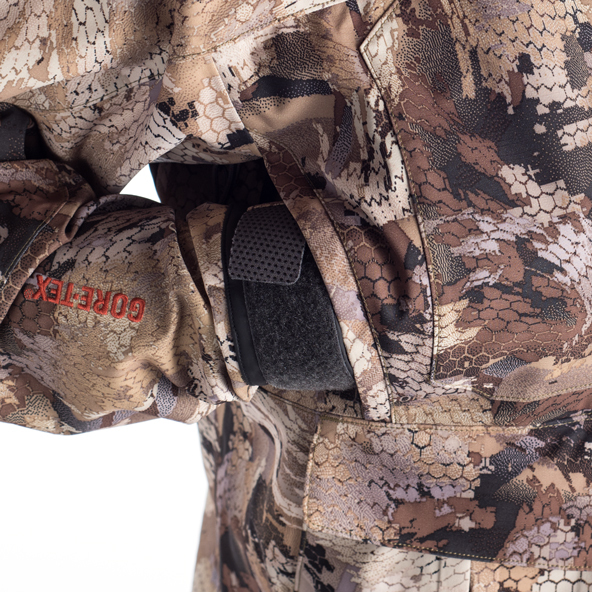 A must-have for duck & goose hunting! 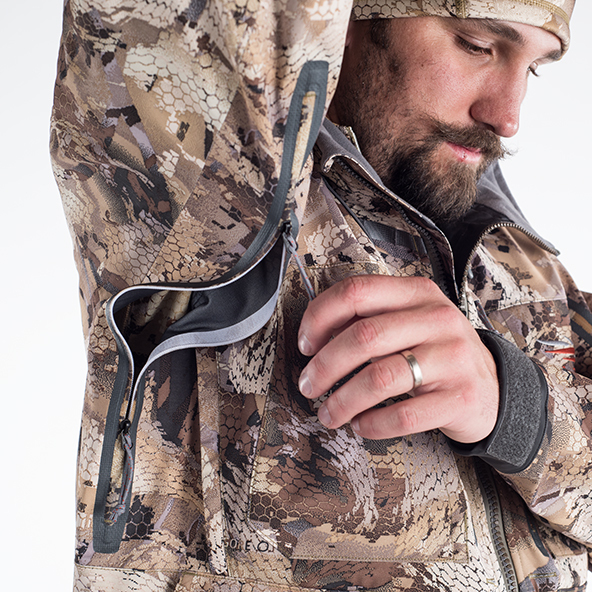 The most versatile waterfowl jacket! 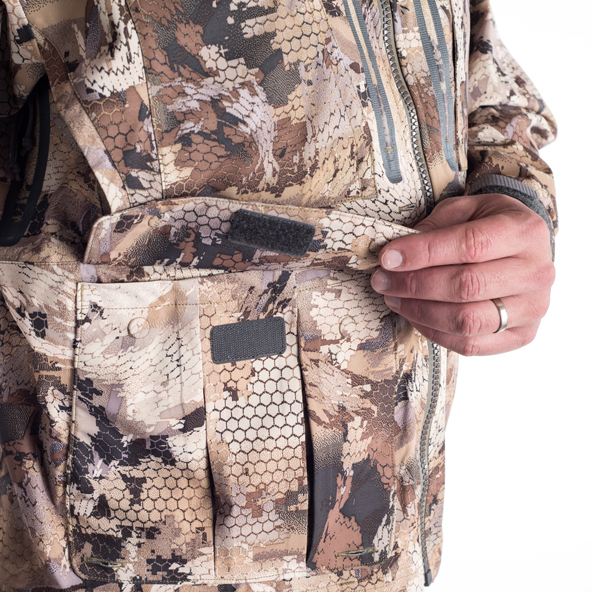 Reinforced GORE-TEX® Pro Fabric is more breathable, durable, and quick drying; The streamlined pocket layout helps you stay organized in the field. The Delta Wading Jacket is an uninsulated barrier against against the elements, making it one of the most versatile pieces in our waterfowl line. Constructed with a rugged GORE-TEX® Hardshell fabric, it completely seals out moisture and wind, forming a microclimate around your body. The uninsulated Delta Wading Jacket breathes well in mild temperatures and when you’ve got a long walk out to the blind, but it’s fit to accommodate layers like the Kelvin and Duck Oven Jackets underneath, giving you an edge in the most brutal cold snaps. All zippers are welded and watertight. Two chest pockets, two shell pockets and two magnetic tuck-away call pockets keep you organized and focused on the sky. The fully adjustable hood rotates and swivels with you, so there’s no impediment to your vision. Pit zips open to dump heat during periods of high exertion. The cuffs have watertight gaskets that adjust to fit your wrist, so you can submerge your hand momentarily while working with deeks without getting water up the sleeve.